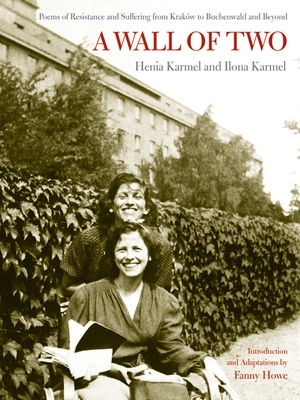 Buchenwald survivors Ilona and Henia Karmel were seventeen and twenty years old when they entered the Nazi labor camps from the Kraków ghetto. These remarkable poems were written during that time. The sisters wrote the poems on worksheets stolen from the factories where they worked by day and hid them in their clothing. During what she thought were the last days of her life, Henia entrusted the poems to a cousin who happened to pass her in the forced march at the end of the war. The cousin gave them to Henia's husband in Kraków, who would not locate and reunite with his wife for another six months. Henia Karmel and Ilona Karmel were born to an affluent and distinguished family in Kraków. After the war, they both eventually emigrated to the United States, where they continued to write. Henia Karmel is author of Marek and Lisa. Ilona Karmel is author of An Estate of Memory. Fanny Howe is the author of, among other books, On the Ground, Gone (UC Press), and Selected Poems (UC Press), winner of the Commonwealth Club Gold Medal for poetry and The Lemore Marshall Poetry Prize from the Academy of American Poets. Selected Poems was also one of the Village Voice’s Best Books of the Year.